There’s an easy cure for a slow computer: more memory. Designed to help your system run faster and smoother, Crucial® Desktop Memory is one of the easiest and most affordable ways to improve your system’s performance. Load programs faster. Increase responsiveness. Run data-intensive applications with ease, and increase your desktop’s multitasking capabilities. Memory is a component in your computer that allows for short-term data access. Since your system’s moment-to-moment operations rely on short-term data access – loading applications, browsing the Web or editing a spreadsheet – the speed and amount of memory in your system plays a critical role. Load apps in seconds by increasing the speed of your memory and installing more of it. If you’re like us, you use your computer to do a lot of things at once. You might be editing a document, while also looking at pictures and browsing the Internet. This naturally leads to a performance problem: every app you’re running requires memory and competes for a limited pool of resources. 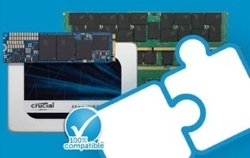 Overcome this by installing high-density modules in each memory slot for seamless multitasking. With just a screwdriver, your owner’s manual, and a few minutes of time, you can install memory – no computer skills necessary. Just watch one of our three-minute install videos, and we’ll walk you step-by-step through the process. Don’t pay a computer shop to do something you can do in minutes! As a brand of Micron, one of the largest memory manufacturers in the world, Crucial Desktop Memory is the standard for reliable performance. From the original SDRAM technology all the way to DDR4, we’ve engineered the memory technologies that have powered the world’s computers for 40 years and counting. 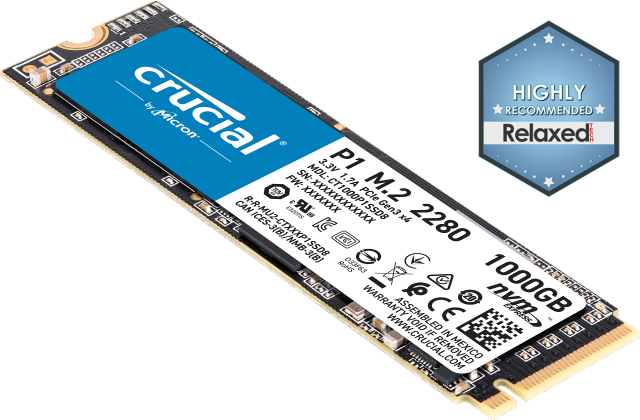 When you choose Crucial memory, you’re choosing memory that’s backed by a limited lifetime warranty and designed for the world’s leading systems.1 Don’t settle for anything less. Limited lifetime warranty valid everywhere except Germany, where warranty is valid for ten years from date of purchase. DDR3 UDIMMs are 1.5V only. DDR3L 1.35V UDIMMs are also 1.5V capable.